Dan Findlay is a historian by training and a writer for kids by trade. Dan has over ten years' experience editing Australia's leading youth magazines. 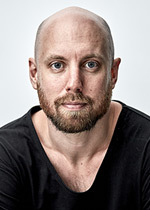 He also has over a decade of freelance experience as a writer and photographer for Rolling Stone as well as contributing the odd music story to the Sydney Morning Herald and writing for a wide variety of other pop culture titles.